Corinne Winters is making up for lost time this week. After a four-year absence from Tucson stages, the soprano, who has fast-become a rising star on international opera stages, is returning to the Tucson Desert Song Festival, where she is doing triple-duty. Holtan is ecstatic about having this world-class soprano back in our midst. “She was such a huge hit when she was here last time, and when we reached out to her, she didn’t hesitate,” he says. Considering the splash she has made in her signature role around the world, Winters seems destined to bloom much longer than Violetta’s camellia. La soprano Corinne Winters al suo debutto come Violetta nella Traviata di Giuseppe Verdi: “L'italiano è la lingua più bella del mondo!" "It’s easy to jump on the bandwagon, but daring to be oneself, especially when it means standing alone, is real bravery... Inspired people uplift others, creating a domino effect that has the power to change the world." "Opera changes people on a molecular level," she says. "The unamplified voice is a frequency that changes them. Maybe my particular frequency, my particular aesthetic, won't move everybody – but it could move someone." "There are times in life where there just isn't a question that it's the right next step to take," Winters says. "With opera and my husband it has felt like that – like I didn't have a choice. It's that strong of a pull." "Singer-songwriters like Joni Mitchell and great divas from the past like Maria Callas and Renata Tebaldi have shaped my aesthetic as an artist. Their voices are both beautiful and raw, always serving the text. I approach my work with the same ethic. Beautiful tone draws people in, but primal emotion breaks hearts – an easy thing to forget after years of higher education and trying to ‘get it right’." American soprano Corinne Winters shot to fame in the UK when she starred in Peter Konwitschny’s controversial staging of La traviata at English National Opera – a real tour de force for the soprano who is barely off-stage for the entire evening in a production which plays through without interval. It’s the character of Verdi’s Violetta with whom she has been inextricably linked and is the focus of our conversation. American soprano Corinne Winters seems to be on the fast track to opera stardom – she’s making major house debuts left and right and transforming some of the great leading ladies – Violetta, Tatyana, and Mimì, to name a few – into her signature roles. 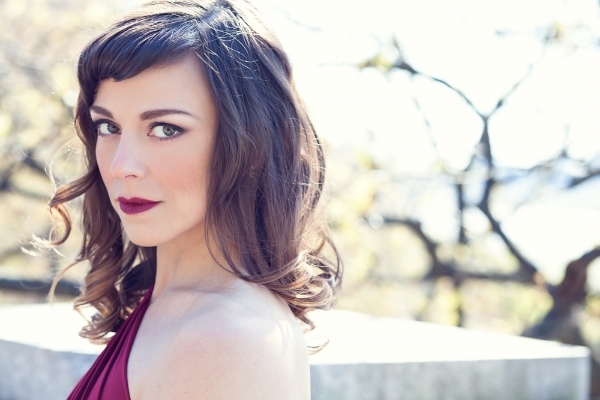 Currently Winters is making her Seattle Opera debut as Violetta in Verdi’s La traviata. Violetta, the heroine of Verdi’s “La Traviata,” is one of the iconic roles of the operatic repertoire, the measuring stick by which almost all sopranos are judged. It is so imbued with depth and intensity that years and years of performance reveal greater degrees of nuance in different interpreters. 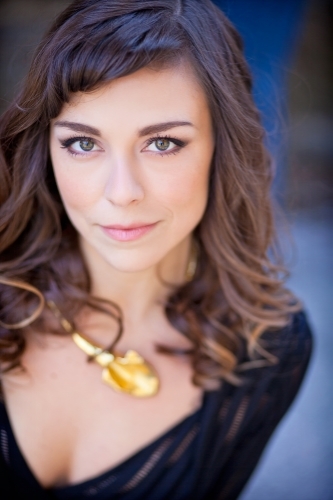 Corinne Winters loves the role of Violetta. It is one of her warhorses and a role that she identifies with on an emotional and deeply personal level. Now she will get three opportunities, 11 performances, to explore the role in the first half of 2017 at three different opera houses in three different productions starting on Jan. 14. We had the chance to speak with Winters about the "intense and subtle" Mélisande, her offstage creative outlets, and how she stays happy and healthy on the road. Frankly, we'll take wellness tips from any soprano who can run a half-marathon. Corinne Winters, the young American soprano, meets me at the London Coliseum. It has effectively been her artistic home since her breakthrough appearance as Violetta in Verdi’s La traviata in 2013. Her megawatt personality and quick, strong thinking remain undimmed after a full-on morning rehearsal for English National Opera’s new production of La Bohème, in which she sings Mimi, perhaps Puccini’s best-loved heroine. Corinne Winters chats with WETA's Nicole Lacroix about her debut recording, Canción Amorosa: Songs of Spain, Viva La Voce's Vocal CD Pick of the Week. Corinne talks about the 4 different Spanish dialects she had to master for this recording, and about her lifestyle blog, theartisantraveler.com. Corinne Winters has drawn unfettered praise from critics worldwide, had her image recently grace the cover of the Kennedy Center's magazine, and is booked for international performances for the next couple of years. But for now, she's conducting an interview on her cellphone while riding a city bus. Starring opposite Moore's Onegin is a soprano who's not only familiar to Tucson audiences, but also welcomed like the first day of spring. Corinne Winters talks about her past, present and future with Latin Post. 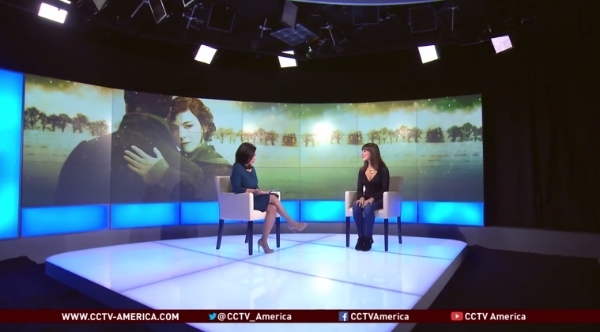 Americas Now anchor Elaine Reyes interviews Corinne Winters about her La bohème at Washington National Opera, her debut album Canción amorosa, and singing in Mandarin in Santa Fe Opera's Dr. Sun Yat-sen.
La bohème star Corinne Winters shares what the audience can expect from a production of the classic opera at the Kennedy Center.